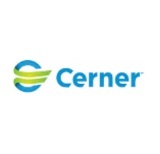 Cerner Recruitment 2018 Apply online for the latest freshers jobs at the entry level. Cerner has planned to fill the vacant positions of trainee engineer in freshers position. This is the nice chance for all job hunter who is looking for jobs in Cerner 2018, are welcome to apply this opening. Cerner employment news states that the candidates must be BE/BTech/MCA/BCA grade in a stream of Electronics, Electrical, Computer Science, Information Technology and relevant course from a government-recognized university /Institute with the minimum fifty percent of the academic score. The application apply mode is online.you do not need to pay for the registration in Cerner.Those candidates who will be shortlisted for Cerner Jobs will receive a good amount of salary and all other extra benefits according to company norms. Willing candidate needs to apply as per below-given registration link. Candidate no need to pay any money for the online registration. After that, all the shortlisted candidate will be informed by Cerner recruitment team for the selection test like online aptitude, face to face interview. Engineering with Electronics, Electrical, Information Technology, Computer Science, Masters in Mathematics, Physics degree or other equivalent degrees in technical disciplines is required. Good academic score at least 50 % required. Database concept with SQL, MySQL will be preferred. Full-Time education course will be applicable only. Technical experience and programming knowledge will be preferred. Then go to career options and find registration link. Provide all your required details like name, age, date of birth, academic score, mail-id very carefully. Finally hit on submit button and finish the process of application. Once you applied through online then your application will be reviewed by the Recruitment Team.